Hi, I am your go-to guy if you want to get things done in Vietnam. I prepare you to meet factories and introduce you to them. May I introduce you to ready made garment suppliers in Vietnam? Do you need to buy the machines or find a factory that has flatlocking machines in Vietnam? It's not just having the machines it's setting them up correctly and having experienced operators. I know one sewing factory that has 50 flat locking machines in Saigon. They produce activewear leggings for Kappa and FILA. In addition to getting the flat lock stitching done well, sourcing quality polyester fabric with spandex is a challenge in Vietnam. Most quality polyester fabric is imported from China because the quality and price is world class. There are suppliers like Tiong Liong, Huge Bamboo and Formosa that can supply quality weft and warp knitted polyester. Their quantities and prices are usually higher than China. Would you like me to introduce you to them? Or would you like me to introduce you to sewing contractors that have flatlocking machines in Vietnam? Let's schedule a Skype meeting to achieve your objectives in Vietnam! Why did you search for flatlocking machines in Vietnam? KAPPA is brand that does flat locking in Vietnam. They require flat locking machines Vietnam. They require high quality fabrics with elaborate embellishments. They have been working in Vietnam for a year now and have delivered consistently such that they rarely visit their factories to do QC. Vietnam factories do all the QC in house and customers appreciate that about us. We use 43 Kingtex flatlock machines in Vietnam. They have 4 needles and 6 threads. We use them to make stitches that are flat against the skin as opposed to overlock. Our customers employ us to make sportswear used for cycling, hiking, yoga and aerobics. We are an established FOB Vietnam Garment Factory with the latest manufacturing technology for women’s and men’s knit garments. We are proud to be one of a few family-owned Vietnam Garment Exporters that offers high and medium quality embellishments depending on your target price. Our sales team is easy to work with because we speak English very well. Our technicians are familiar with flatlocking machines in Vietnam to meet your design requirements. Also, we value logical negotiations and full-fill our contractual commitments as best we can when it comes to making delivery dates and fixing problems during production. I work with a team of merchandisers based in Ho Chi Minh City. lead by Chris Walker, an American living in Vietnam since 2008. 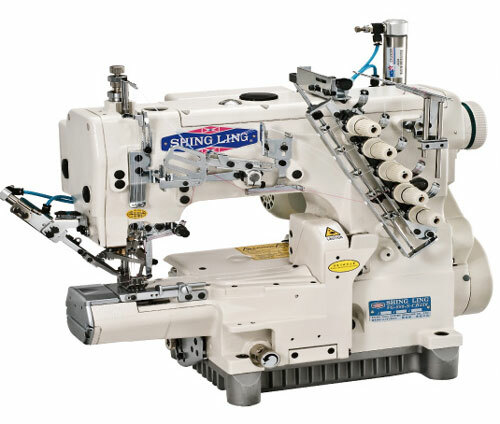 We represent sewing factories that are Oeko Tex certified sewing contractors. 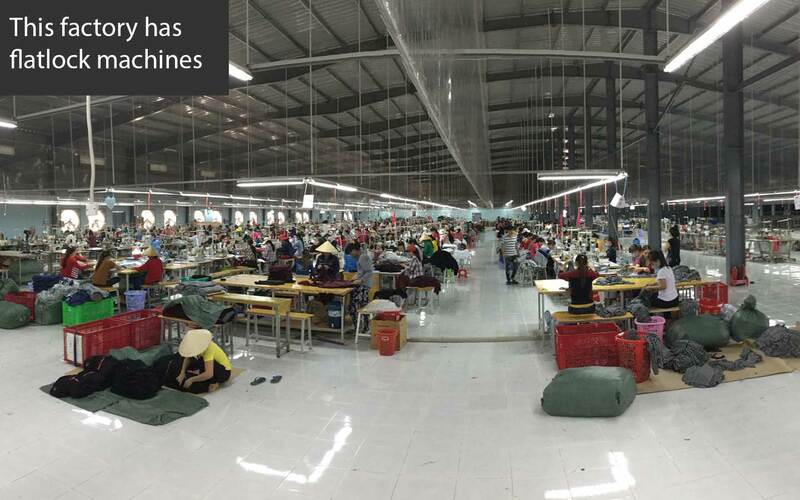 We can help you produce fabric and export garments from Vietnam. Below is information about how to get started. Please contact us with your inquiry to get started exploring opportunities in Vietnam. We make garments from your designs; so we need a tech pack from you. When we receive the tech pack we can estimate the price. If you provide us with a target price it will be much easier for us to quickly decide if it make business sense for you to work with us.